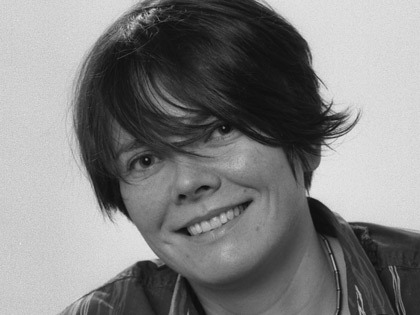 Eva Weber is a London-based filmmaker. Her award-winning documentary The Solitary Life of Cranes, produced by Weber’s own Odd Girl Out Productions, received significant acclaim from festivals around the world. Additionally, her film Reindeer was nominated for the Short Film Grand Jury Prize at the 2013 Sundance Film Festival. In 2013, Weber was announced as a joint recipient of the San Francisco Film Society Kenneth Rainin Foundation Grant for Screenwriting along with the novelist and screenwriter Vendela Vida. 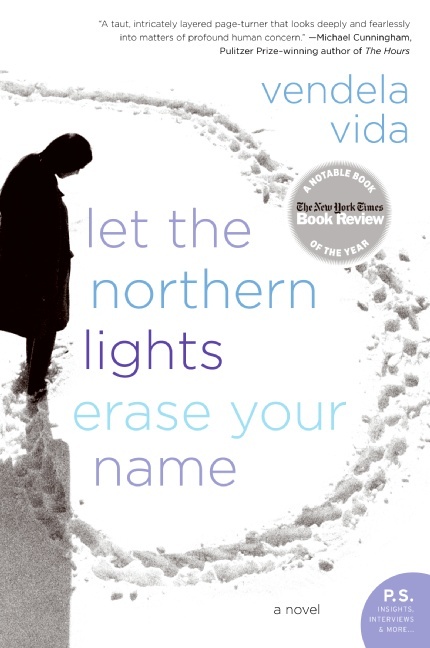 Their project, Let The Northern Lights Erase Your Name, is an adaptation of the 2007 novel by Vida, as well as Weber’s feature film debut. Eva Weber spoke with Sean Malin of CineMalin: Film Commentary to discuss the inherent powers of fiction, the allure of shooting in Lapland, and how her relationship with Vendela Vida led to a serendipitous collaboration. This interview has been transcribed, compressed, and edited from audio for publication. Editor’s Note: All still images are exclusively provided by gracious donation of Eva Weber. The final two stills are the first published images of her upcoming short film Field Study. Sean Malin: You are going into this project with years of short filmmaking under your belt. In your experience, why don’t short films get the same level of notoriety as features? We both know they often have the same power. Eva Weber: I completely agree that short films can often have as much power as features. However, it can be hard to see good shorts outside of festivals. When I first moved to the UK, shorts were regularly screened on television (and sometimes in front of features in cinemas); however, this is no longer the case. On the plus side, the Internet has become a wonderful way to showcase shorts to a wider audience. SM: I just recently spoke to another SFFS/KRF Grant winner who is working on a feature-type budget for a fifteen-minute short film. If there is enough money for these films, why do shorts still get relegated to the bottom drawer for promotion? EW: I think because there are a lot more short films and there is a limited market for them. It is also a question of why you are making a short and whom you are making it for. In terms of promotion, a publicist is obviously hugely expensive, and most people would not hire one for a short film. So in that case it comes down how much you are willing to do yourself and are able to do for the film. It does, unfortunately, often come down to time and money. SM: What happens when one of your films straddles the line between short and feature length, like your forty-seven minute documentary Black Out? EW: Forty-seven minutes is a tricky length for a film, as it makes it very difficult for festivals to programme it – you either have to pair it with another forty-minute film or a few related shorter films. However, we were fully aware of that [difficulty] when we set out to make Black Out; still, we felt it was the right length for the material and the story we wanted to tell. SM: Have reactions to that length or the twenty-seven minute length of The Solitary Life of Cranes, which are both sort of liminal-space lengths, been driving forces for you to get into the feature filmmaking game? EW: Let The Northern Lights Erase Your Name just deserves to be a feature; you could not possibly tell this story as a shorter film. I believe that different stories deserve different lengths – some ideas are strong enough for a ten-minute film, some for a forty-minute film. In the end, it always comes back to the kind of story you are trying to tell, if that makes sense. SM: It does in some ways, but then I wonder how you judge the quality of ideas. Does the idea that became your three minute short Reindeer germinate or pop into your head much less profoundly than in Black Out, for example? Are the ideas for your films more or less valuable than one another? 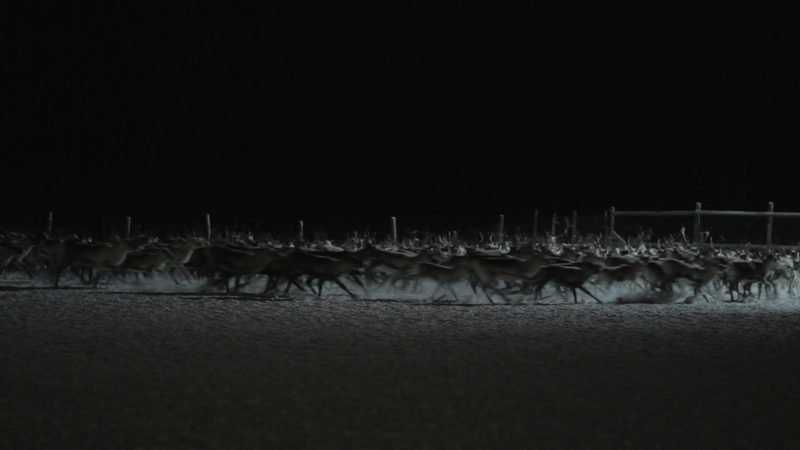 EW: Well, Reindeer was a slightly different situation for me as this was not my original idea, but rather I was asked to make a film about reindeer in Lapland. 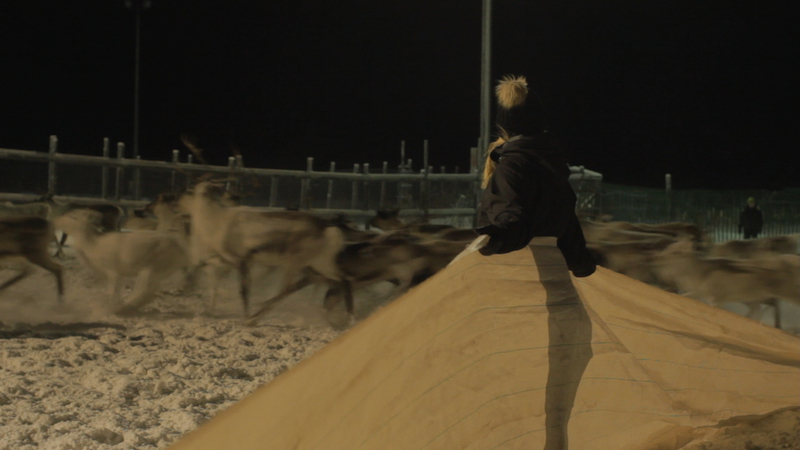 Nowness came to me and asked if I wanted to make a film about reindeer racing. I loved the idea of going to Lapland: seeing reindeer, seeing the Northern Lights, and I was fascinated by the idea of the race. Unfortunately, it turned out that it was too warm when I got there and they were still training, not yet racing. 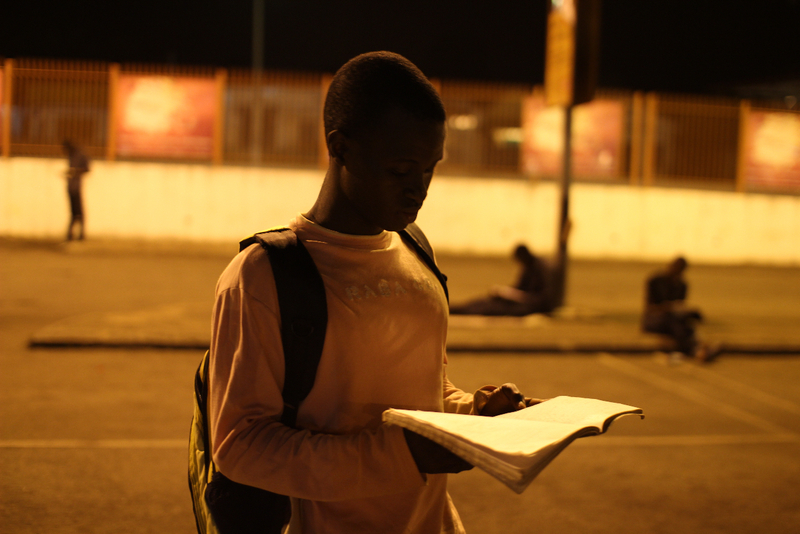 With Black Out, I saw a photo of the children studying at the airport, and I was instantly drawn to find out more about their situation. Some of my other films have come from a sentence that someone has said to me that intrigues or fascinates me for a while. Or it could be a line in an article. However, I do not think of ideas as less or more valuable. SM: What was the impulse that led to you making Let The Northern Lights Erase Your Name? EW: Vendela [Vida] and I actually met at the Telluride Film Festival, where we had dinner together on the opening night. It was a sheer accident that we ended up at the same table, I did not actually know her yet. She was presenting some panels and Q&A’s, and I had Reindeer showing there. We talked that night for forty minutes and later she came to see my film. On the last day of the festival the festival director mentioned that she had gone to see my film and had written a novel set in Lapland, so I bought the book when I got back to London, and e-mailed her immediately afterwards. What brought us together was our shared fascination with Lapland. That is where Let The Northern Lights Erase Your Name came from in her case. And though Reindeer was not my idea, I had always wanted to go to Lapland and I find the landscape fascinating. It is beautiful and harsh…That is where I think our mutual interests stem from. SM: Thematically, this focus on places that are beautiful as well as harsh and isolated has been at the head of much of your work. Not just Reindeer and Northern Lights, but also Solitary Life of Cranes, which features narration by and about London crane workers. In that film’s case, there’s an almost savage solitude that’s much less entrancing than in Reindeer. It’s quite frightening. EW: Yes, there is solitude, but for me it is not positive or negative. With that film, I wanted to explore that kind of life. For me, it is simply fascinating that there is this world that exists above us that we are not aware of. Crane workers spend so much time in the same world as the rest of us and yet they are so separate. They see and notice so many things that we cannot, just by watching the world from their unique point of view. And in the case of Northern Lights, I love how the landscape reflects [the main character] Clarissa’s mind, the way it mirrors her search for identity and self. SM: Will this be the first film you’ve made with a fiction script? SM: Are you happy to be getting back into fiction? Is it sad to be letting documentaries go? EW: Oh no, this was a conscious decision, and it does not mean I no longer want to make documentaries. But I was looking for a new challenge; I want to make films that are more story and character-driven. I needed to find a script that I could really fall in love with. SM: Getting back into this world must have taken some adjustment. Were they any false starts on your journey that you’d gotten close to making, only to have them slip through your fingers? EW: There were a few books that I fell in love with but could not secure the rights for, but to be completely honest: no. I had been on the search for a story that would bring me back into fiction, but I still can’t believe I’m working with Vendela. We only met last September at Telluride and four months later, in January, we were at the Sundance Labs. It was such a coincidence. 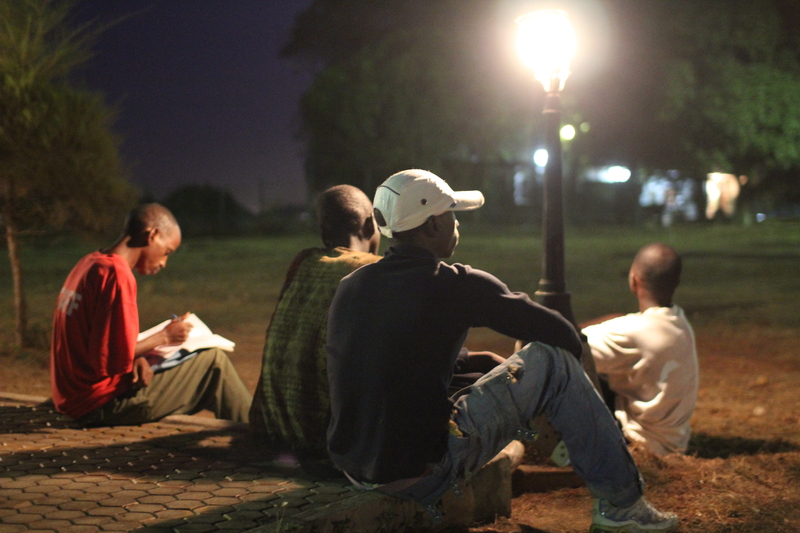 SM: In your documentaries, there is often a hypnotic, dreamlike quality that guides the pace and look of the film. Is your intent to transfer that same style into your fiction work? EW: I would like my fiction work to have similar qualities. But I also believe that with fiction as well as in documentary, in order to sustain that quality across 90 minutes, you must have a strong story. You need a strong plot and characters to move you along whatever the format. What attracts me to Let The Northern Lights Erase Your Name is that it CAN have that quality. SM: You mentioned in an interview once that you admired the films of Werner Herzog. He is a filmmaker that has successfully navigated a career in both documentary and fiction work while maintaining this hazy, lyrical quality. SM: Other than his films, what else will serve as inspirational or contributory works to your own in the case of Northern Lights? EW: There are some that I love. One of my favorite films last year was Rust and Bone (Audiard, 2012), and I thought that Once Upon a Time in Anatolia (Ceylan, 2011) was just beautifully shot. And though it is lit differently than those, I love Hunger (McQueen, 2008.) I am not sure they will necessarily directly feed into my filmmaking, but I find them absolutely stunning, and in that way they are inspirational. I also greatly admire Vendela because Let The Northern Lights Erase Your Name is her book, and adaptations are tricky. To change it and make it into a good film is hard, yet she’s incredibly open to that process. SM: There are not many films set in Lapland in the first place. I think making her language visual in that location must present extraordinary and novel – no pun intended – changes. EW: EW: It’s so funny you should say that because (right now) I am at Skywalker Ranch with my sound designer as part of the Sundance Sound Design and Composers Lab. We were just talking about how, when we have the next draft of the script, we need to sit down and go through it only in terms of audio tones and themes, and the sounds of Lapland we should be looking out for during filming. I find this process terribly exciting.. Vendela and I are also going to travel to Lapland later this year to see every location in which the story is set. Seeing and experiencing places and their specific qualities is incredibly inspiring to me, and I can’t wait to go back and see how this will affect the film we are making.